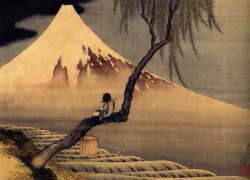 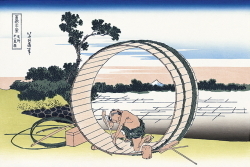 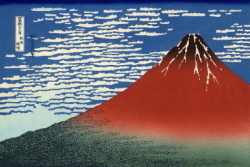 Katsushika Hokusai f is one of the mostexcellent ones in Japanese art history. 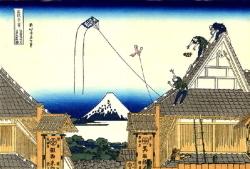 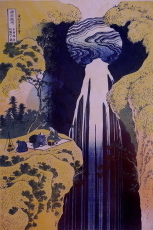 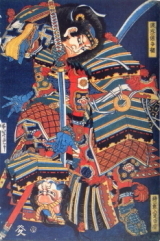 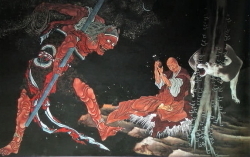 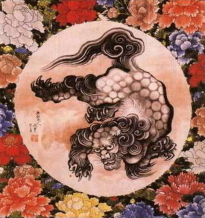 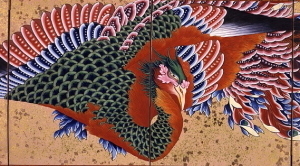 Hokusai fhad top-notch competence in every genre including landscape paintings, flowerbird paintings, warrior paintings. 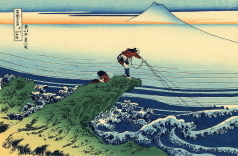 Hokusai's charm is"outstanding screen composition", "innovative ideas""movement and dynamism" "exceptional color feeling""rising mind beyond age" that others can not follow. 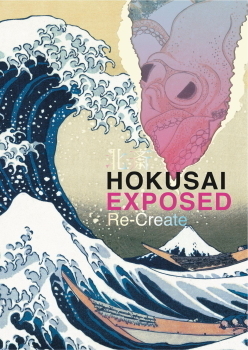 The exhibition "Hokusai and Japonismu" at the Tokyo Museumof Western Art was an exhibit that stated that "Hokusai was therevolutionary in modern art with the driving force of opening modern doors ofWestern art and coloring the history of Western art"　But how did Hauber and Western painters really understand Hokusaiand could sublime in their own art? 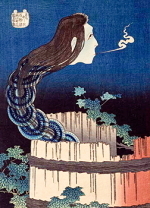 Hokusaihad a daughter, Oei Katsushika, who was an accomplished artist in her ownright. 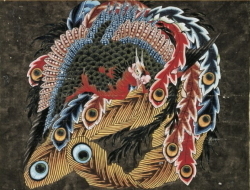 Oei established herself as an artist outside her father’s influence. 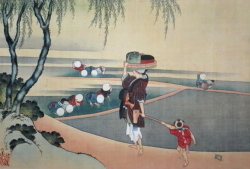 But later in her life she divorced her husband and wentto assist her father in his old age after he developed palsy. 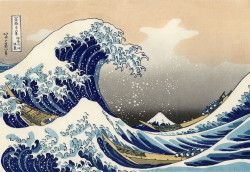 Only about 10actual works have been attributed to Oei, but considering Katsushika Hokusaicreated some of his most famous and brilliant works towards the end of his life– “The Great Wave off Kanagawa” was published less than 10 years before hisdeath at age 88 – it seems reasonable to wonder just how much of the work wascreated by Oei.